We've all been part of software development projects that didn't have a very good project plan. I believe that it is still possible for a project to be successful without a project plan, but it introduces unnecessary risk. A properly agreed upon project plan will not eliminate that risk, but it will greatly reduce it. Proejects without planning documents are about 50% successful. When they have a plan, they are about 90% successful. That is independent of developer talent. 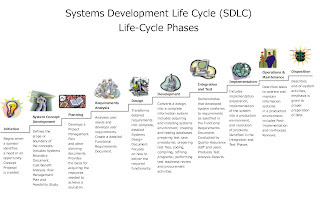 Often as agile developers, we skip some of the SDLC steps. Agile does not mean that SDLC steps are skipped. It just means that they are compressed into shorter, more frequent release cycles. The two steps that are most frequently skipped or inappropriately shortened are arguably the most important: planning and testing. This is just a friendly reminder to review how those steps are implemented and delivered.